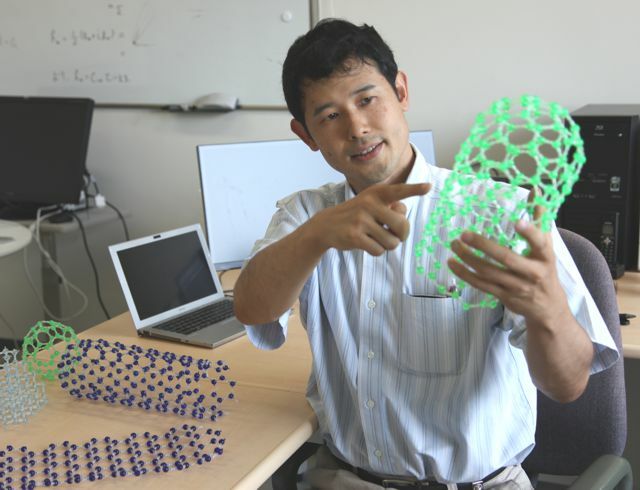 Associate Professor Yutaka Ohno at Nagoya University and his co-workers have successfully produced all-carbon integrated circuits for the first time in the world.1 Their paper was published online inNature Communications on August 6, 2013. In order to develop flexible electronic devices, their components such as semiconductors, electrodes, wiring and insulating films must be pliable. However, the metallic and oxide films that typically comprise these components are rigid, thus making it a challenge to impart flexibility to electronic devices. In 2011, Prof. Ohno succeeded in producing flexible high-performance carbon nanotube (CNT) integrated circuits on transparent substrates, and has been exploring the possibility of using alternative materials for the wiring and insulating film. In this study, his group developed all-carbon integrated circuits using CNT thin films for both electrodes and wiring, as well as an acrylic resin for the insulating film. In addition, the research team optimized their CNT film-forming technique and achieved a high mobility of 1027 cm2/Vs in thin-film transistors. A higher mobility enables operation of the circuit at a lower voltage and at high speed. 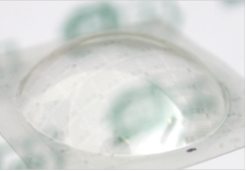 Furthermore, they showed that these devices are moldable via an air-assisted thermopressure-forming technique; hence, they can be formed in arbitrary shapes. The research outcome is expected to be widely applied to various electronic devices, such as smartphones and 3D displays, and to improve their functionality and design. 1. Their research is funded and supported by the Japan Society for the Promotion of Science (JSPS), the Japan Science and Technology Agency (JST), and the Multidisciplinary Institute of Digitalization and Energy (MIDE) at Aalto University, Finland. Prof. Ohno aims to create new electronics that can serve as important driving forces in Japanese industries. He believes that conventional electronics has already reached its ultimate performance capabilities. Therefore, he differentiates himself from researchers focused on conventional systems by adopting a new perspective based on physical phenomena (new functionalities) associated with nanostructure materials such as carbon nanotubes. "I would like to conduct research on the interactions between electronic devices and the human body and brain, and develop new electronic devices; for instance, one that is unrecognizable, fitting naturally into ambience, or one that is wearable with an affinity for the human body." "In engineering research, I find it particularly appealing that I can develop new technologies that no one has ever imagined and create a completely new substance. Although the physical properties of materials found in nature cannot be changed, innovative ideas can lead to new and more efficient uses of existing materials as well as the development of new substances. To achieve this goal, it is important to adopt a fine perspective by seeing things from different angles."